ABM Franchising Group’s 2019 Continuing Education Conference will be held February 7 - 9 at the Hyatt Regency Atlanta. This annual event features educational sessions, networking opportunities, a Vendor Showcase Exhibition, and awards and recognition. Linc Service and TEGG franchises and ABM employees are encouraged to attend to learn how to, or rediscover, all the ways to keep your business growing by utilizing the tools and resources available through ABM Franchising Group. The conference will kick off Thursday evening, February 7, with a Vendor-Sponsored Event to give participants the chance to meet with leading industry vendors, new contractors and employees of Linc Service, TEGG and ABM, reconnect with friends in the network and, perhaps, win a prize donated by one of the contributing sponsors. Learn more about the 2019 event by visiting the various sections of this event website. Check out the menu along the top of this page to discover the meaning behind the 2019 event theme, to view the event schedule, discover the educational sessions being offered and preview the 2019 Vendor Showcase Exhibition. You will also find hotel information and transportation options to help you plan for attending the event. Be sure to review the frequently asked questions (FAQs), which provide information you will need before you complete event registration. Congratulations to Sarah Scofield with Seahurst Electric! Sarah registered for the conference by October 31 and was randomly selected among 450+ registrants as the winner. 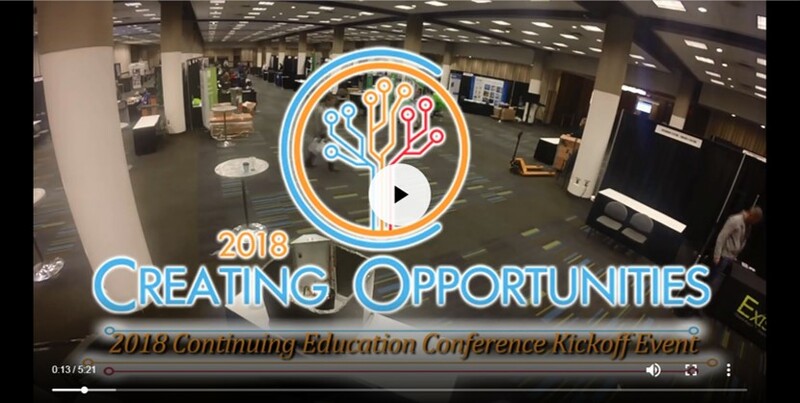 She will receive a $500 travel voucher provided by Meetings Info MIM, the Official Meeting Partner for the 2019 Continuing Education Conference. Deadline to register is Friday, December 7, 2018. Please note registrations received after this date will be subject to a $150 late registration fee. Join us! Register for the 2019 Continuing Education Conference. Meetings and Incentive programs are a significant form of communication in today's corporate world. The services of our professional organization can greatly assist in the overall planning process for your individual organization or company needs. MIM has developed a comprehensive list of services to assist our client companies in the planning and execution process. Please contact Sandy Rim at 412.421.0701 or sandyrim@meetingsinfo.com if your organization or individual company would like to discuss an internal program or event.